Jan, my wife, is an anthropologist at SJSU. When she can, she arranges for her students to do “real world” projects for their assignments. This semester, she will be and her students will be part of a team, organized by NUMU Los Gatos, interviewing relocated American Indians who live in the South Bay. Having moved to the city—from the reservations in the 1950s, ‘60s, and 70s—their stories will soon be lost to history, if they are not recorded now. 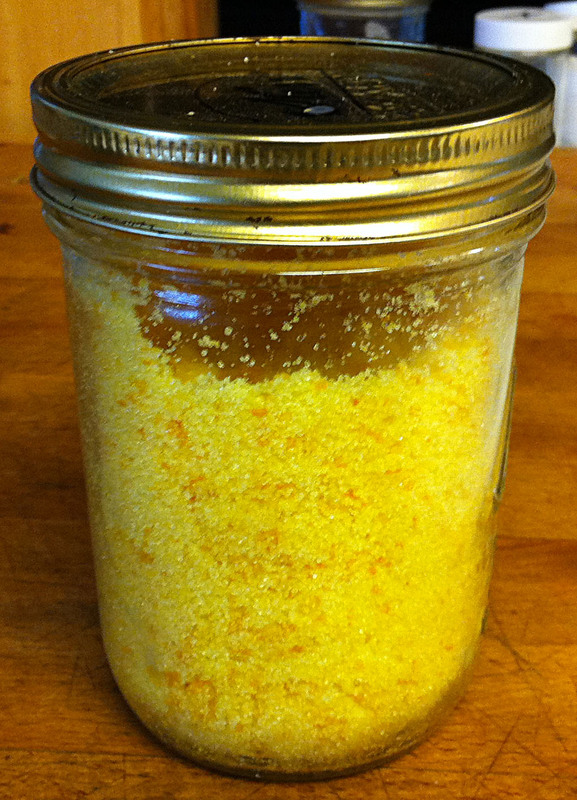 Last year, I created an orange infused sugar, which rapidly became a staple on my counter. It is a simple recipe, just zested orange peel and sugar. It allows you to add a sweet orange zing to anything you are making—tea, breads, whatever—without have to go to all of the effort of finding an orange and zesting it on the spot. This always leaves you with the dilemma of: What do you do with the rest of the orange?